I'm a fan of any retail on wheels, particularly one as sweet as this. According to its founder, Ayla Gurganus, Soulflowers is "a floral cart striving to pedal petals with purpose- the purpose being to cultivate community while adding a bit of sunshine to someone's day." Ayla's purpose began with an old tricycle, gifted to her by a close friend. It needed some TLC but she fixed it up with a new paint job and accessories, then designed the pure white, modern cart that her husband subsequently built. Based in Atlanta, Ayla is springing up throughout the city with her pre made bouquets both large and small in tow. 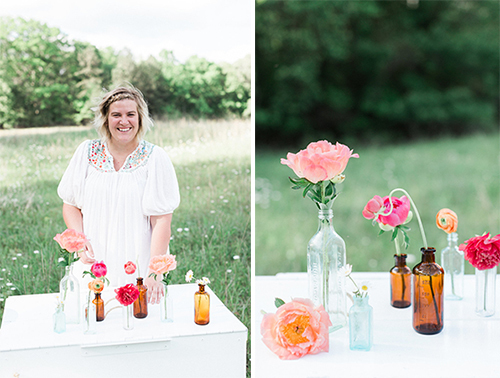 Her current arrangements range from fresh cut ranunculus and peonies to a wildflower mix. 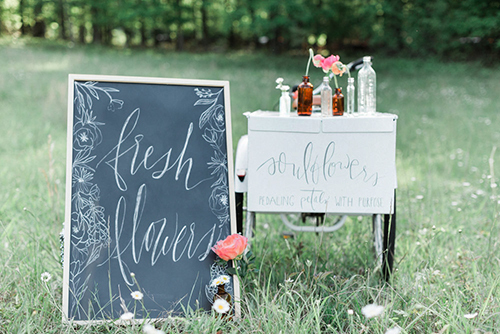 I absolutely love this flower cart and will be an enthusiastic customer first chance I get. To find out where Ayla is pedaling petals to next, just follow her on Instagram, here.